Last week a federal grand jury indicted officer Michael Slager, who shot and killed Walter Scott in South Carolina, on several charges including violating civil rights laws. During that same week, FBI director James Comey came out with more shocking statements claiming videos are somehow stifling police officers from doing their job and may lead to homicide rates and crime increasing. If Walter Scott’s tragic death were not caught on videotape, officer Slager likely would have never been charged and his family may have never known the truth. Reducing crime and keeping communities safe is what we all want, but if we are to ever separate good cops from the bad ones and reform policing in this country, we must push for more videotaped evidence and transparency (as a start), and not blame videos. New technology should be embraced instead of scapegoated. While homicide rates have increased in certain places, in cities like New York and many others, they have gone down. There is no conclusive evidence as to what is either causing or decreasing these rates, and definitely no evidence of a so-called ‘Ferguson effect’. For the director of the FBI to even insinuate that such a thing exists is irresponsible, dangerous and unacceptable. Secondly, videotaping police misconduct is adding to the enforcement of law, not taking away from it because police misconduct is in fact a crime. 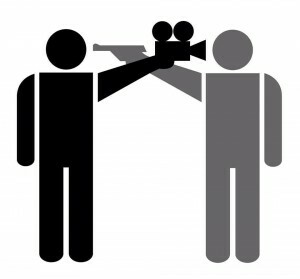 How can anyone say that citizens should not videotape crime and it be used against alleged criminals? When security and surveillance cameras are everywhere in order to catch the bad guys, we should utilize cell phone videos to do the same – even if those bad guys happen to be wearing a police uniform. Posted: 5/17/16 at 8:36 AM under News Story.